THEN: Pioneer Arthur Denny's son, Orion, took this photo of popularly named Lake Union John and his second wife, Madeline, sometime before the latter's death in 1906. 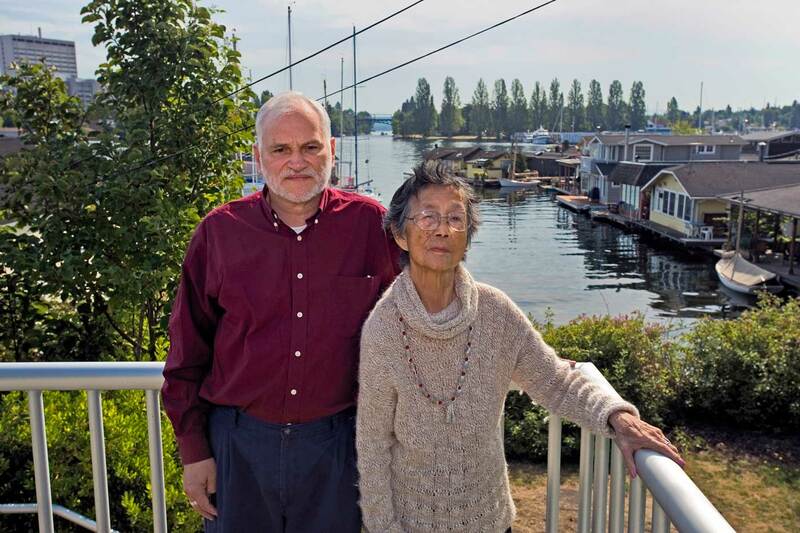 NOW: With Portage Bay and the Montlake Cut behind them, linguists Jay Miller and Vi Hilbert pose beside a small park at the foot of Shelby Street. Long familiar with this portrait of “Lake Union John” and his wife, Madeline, I was, however, only recently introduced to their story by my Wallingford neighbor, the American scholar Jay Miller. 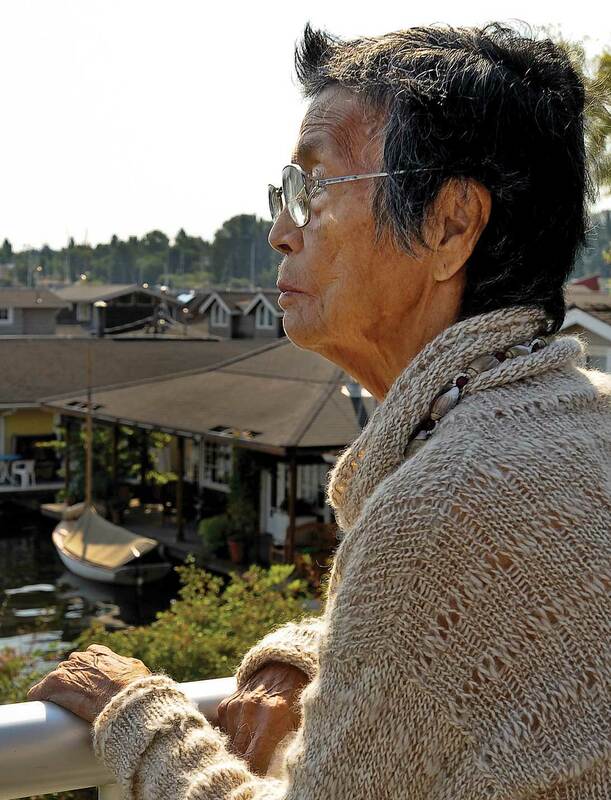 In Jean Sherrard’s repeat of the historical scene, Jay stands with Vi Hilbert, a revered native elder who will be known to many readers as a local and national treasure for her career saving the Lushootseed language and culture of Puget Sound. 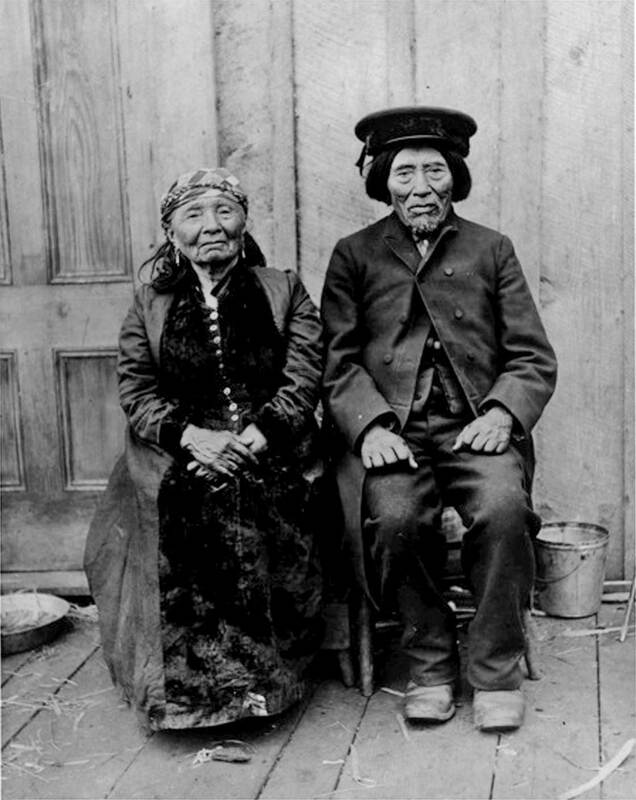 John and Madeline spoke Lushootseed, as did Chief Seattle and David Denny. Both couples pose at what is now the foot of Shelby Street on the south shore of Portage Bay. John and Madeline lived there, or near there, on land they owned, paid taxes on, and used for activities including making dugout canoes and hosting the last memorial potlatch in the city. John had a Lushootseed name — Cheshiahud — and we will become more familiar with it because in his honor it is now the name for the paved loop around Lake Union. 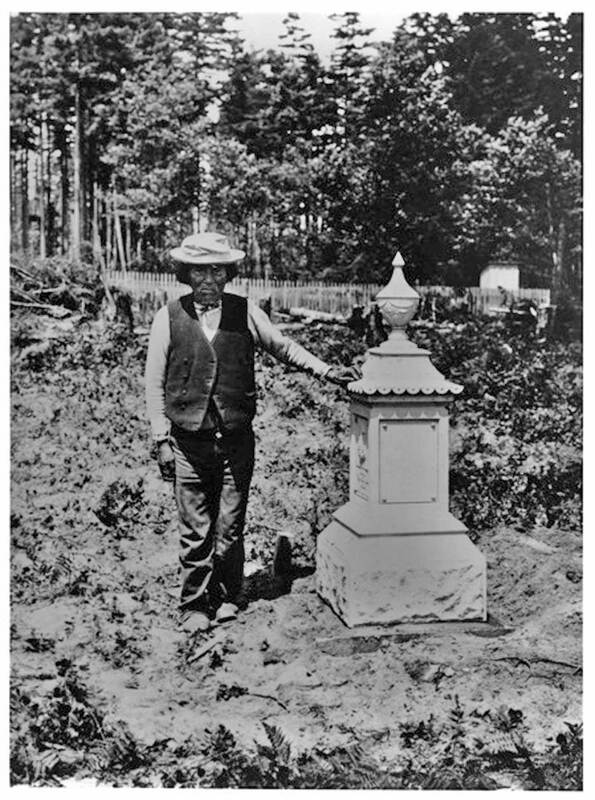 That it is spelled correctly on the new signs is to the credit of Jay Miller and family elders who directed public workers to the preferred spelling on Cheshiahud’s and his first wife, Lucy Annie’s, tombstones at Washelli cemetery. A deeper study of Salish place names, history and pronunciations can be pursued in the Seattle Room of the downtown library, which includes a copy of Hilbert, Zahir and Miller’s helpful revisions to T.T. Waterman’s early-20th-century classic, “Puget Sound Geography.” Another chance to come closer to Cheshiahud begins Oct. 24 at the Seattle Art Museum with the public opening of “S’abadeb — The Gifts: Pacific Coast Salish Art and Artists.” A Cheshiahud canoe is included in this revealing exhibit. 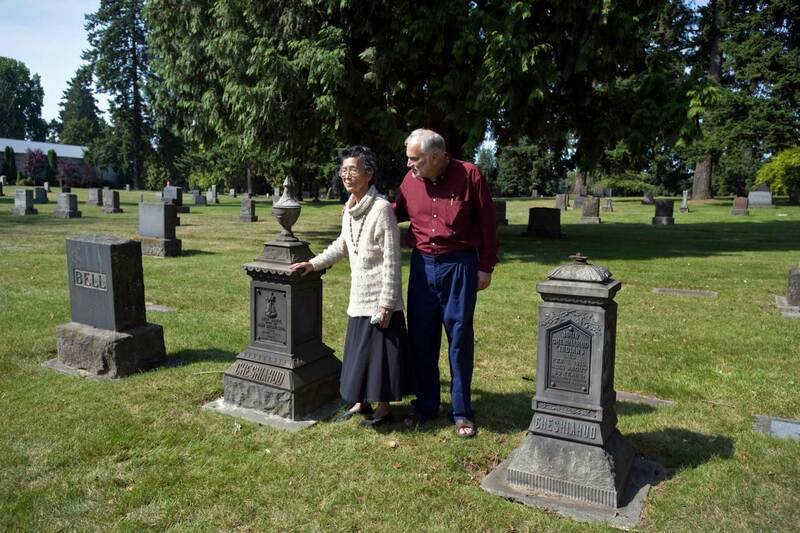 John Cheshiahud stands next to his first wife Lucie Annie's tombstone at Washelli cemetery.